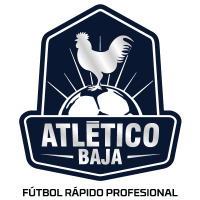 The Major Arena Soccer League has announced that Atletico Baja, based in Tijuana, Mexico, will join the league in time to participate in the 2015-16 season. Atletico Baja will be the 21st and final team to join the MASL this season. An ownership group based in Baja California will operate the team. The team's staff will be led by general manager Alejandro Arce and coached by Rene Ortiz, who coached Team Mexico in the 2015 Arena Soccer World Cup. More details about the team will be released this week. The team becomes the latest arena soccer team to call Tijuana home in the professional ranks. Toros Mexico was the last team from the area to participate at the professional level, competing in the Professional Arena Soccer League during the 2013-14 season. "There has been a great tradition of having teams from Baja California competing in the indoor game, and we're glad to see Atletico Baja join our league," said Kevin Milliken, the MASL's Vice President of Business Development. A final league alignment and schedule will be announced later today. The season is scheduled to begin October 24, 2015 and run through the end of February with playoffs beginning March 1.